Thanks again to my lovely Instagram followers who requested this recipe. It is PERFECT on a hot day. 4. Put glasses in the freezer while making green layer – this ensures when you pour the top layer in, they don’t mix in together too much. 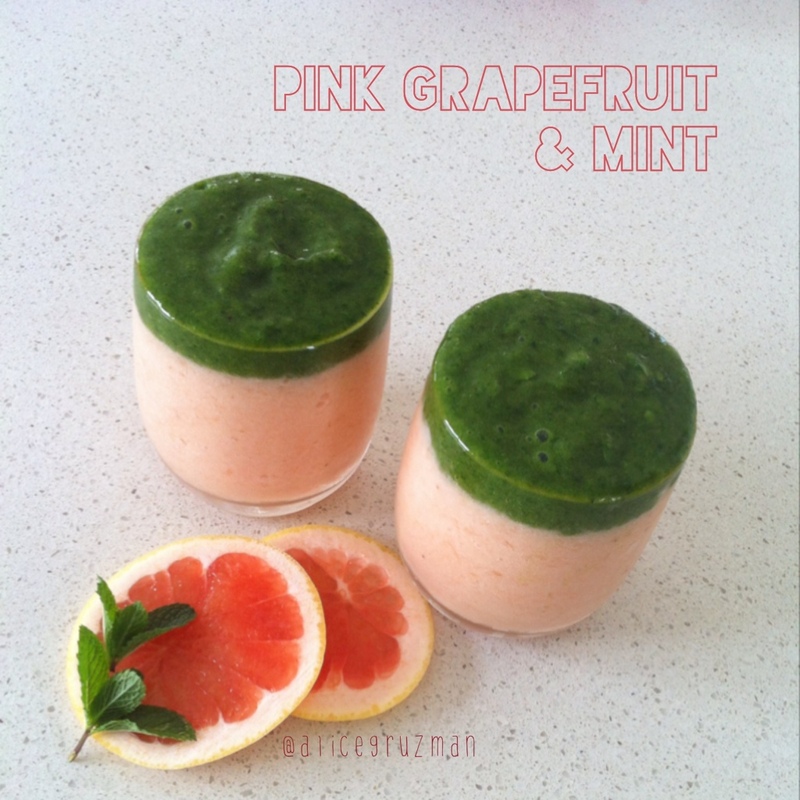 This entry was posted in Recipe and tagged babyspinach, banana, dairyfree, fruitarian, glutenfree, Greensmoothie, healthy, mint, pinkgrapefruit, rawvegan, rawvegansmoothie, smoothie, sugarfree by 6 Clean Ingredients. Bookmark the permalink.